The Halo is a stunning sculpture set on the hillside above Haslingden and we had a lovely walk up to this wonderful view point. 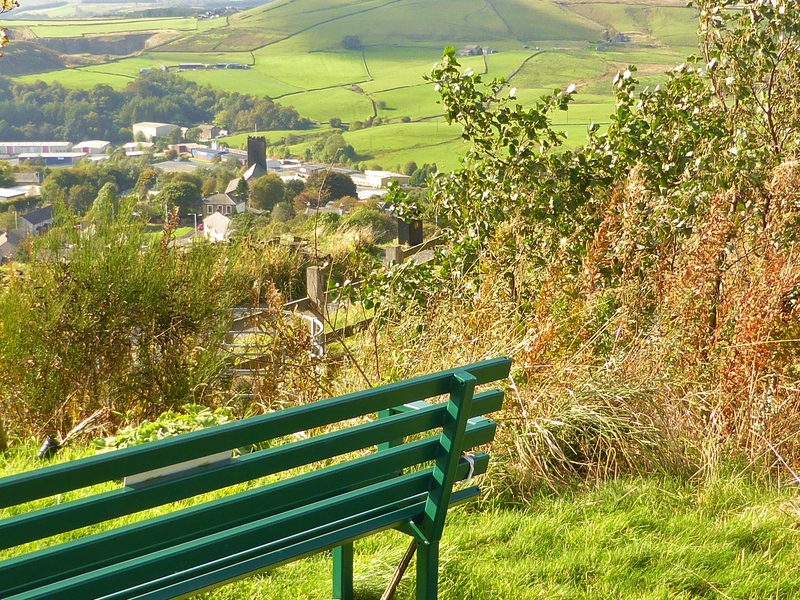 This hillside spot is popular for placing memorial benches. This bench to Julie Eardley caught my eye. 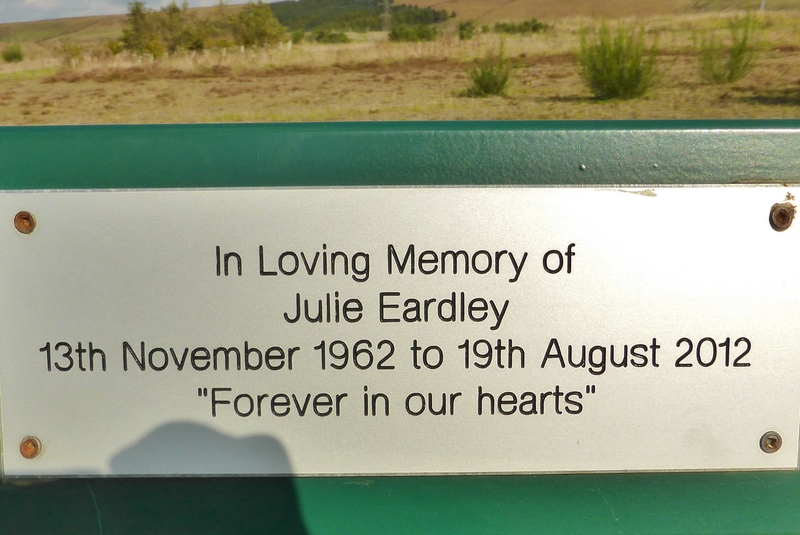 Julie Eardley died on 19 August 2012 in Perth, Australia at the young age of 48-years. Her death was reported in the Bury Times by family in the area. 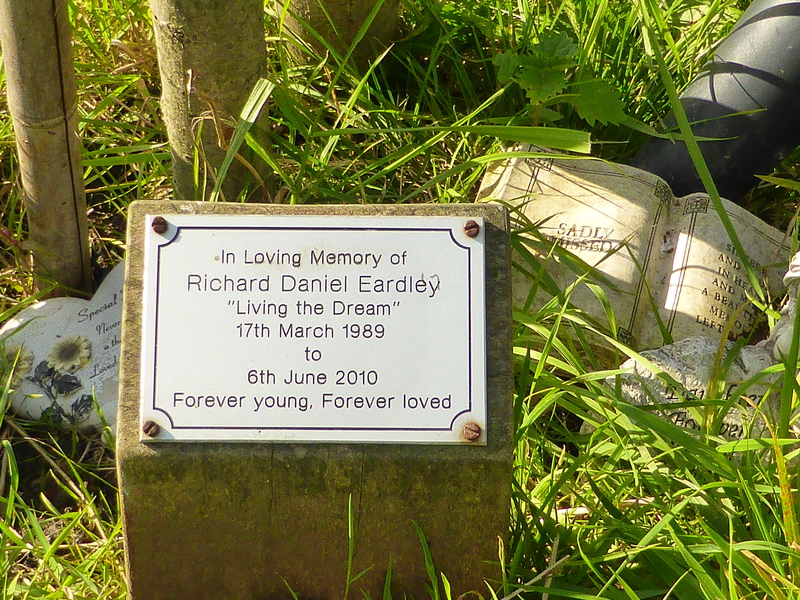 In front of the memorial bench to Julie Eardley is a tree with a memorial plaque to Richard Daniel Eardley, Julie and Paul Eardley’s son, who died in Australia just two years earlier at the age of 21-years in a car crash. His tragic death was reported at the time.